Cambridge, UK, was the clear choice for the first lab established outside of the United States, due to its rich history as a centre of higher learning and growing global impact as a leading high-tech hub. From a beginning of just three researchers in 1997, to over 130 researchers and engineers today, the lab has established itself as a highly credible academic partner and flowing pipeline of technology transfers into the Microsoft business. The freedom of enquiry enabled by Microsoft’s approach to basic and applied research, coupled with the diversity of researchers and engineers in the Cambridge lab – ranging from sociologists, mathematicians, computer scientists, biological scientists and interaction designers – has produced contributions to some of Microsoft’s most successful products and services. We are excited to be part of a company that is unreservedly committed to pushing the boundaries of what is possible, in order to create innovative solutions and break-through ideas that will empower every person and every organisation on the planet to achieve more. During your 12 week internship, you’ll find out what it’s like to work in an industrial research lab and learn from world-leading researchers and engineers who are invested in helping you. You will be an important part of a team who want you to get the best out of your internship and will take the time to help you and discuss your ideas. You can also explore other subjects and opportunities through a personal mentor, hackathons and more. Our interns have the opportunity to make significant contributions to work that could go on to impact Microsoft products. Our mission is to empower every person and every organisation on the planet to achieve more, and you can be part of that. We hold a number of events and activities during the Summer to enable you to get to know others while enjoying what Cambridge has to offer. Microsoft is committed to supporting people in their personal and professional growth. We value inclusiveness and diversity, and work to ensure our interns feel valued, respected and encouraged. We offer a competitive salary, an accommodation allowance, free beverages and subsidised meals. Many of our interns have gone on to get full-time positions here or at other Microsoft locations. We mostly offer internships to Masters or PhD students, but will consider Undergraduates if the opportunity fits. There is no closing deadline for these posts. These posts will be filled once suitable candidates are found, so if you are interested, please click on the relevant profiles below and apply using the link. If you have any questions please see the FAQ. You will build and evaluate tools for accelerating AI workloads on emerging hardware, working with leading machine learning, programming language, and systems researchers. Our current projects include work on compilation techniques for deep learning workloads, and algorithms for efficient distributed computation. 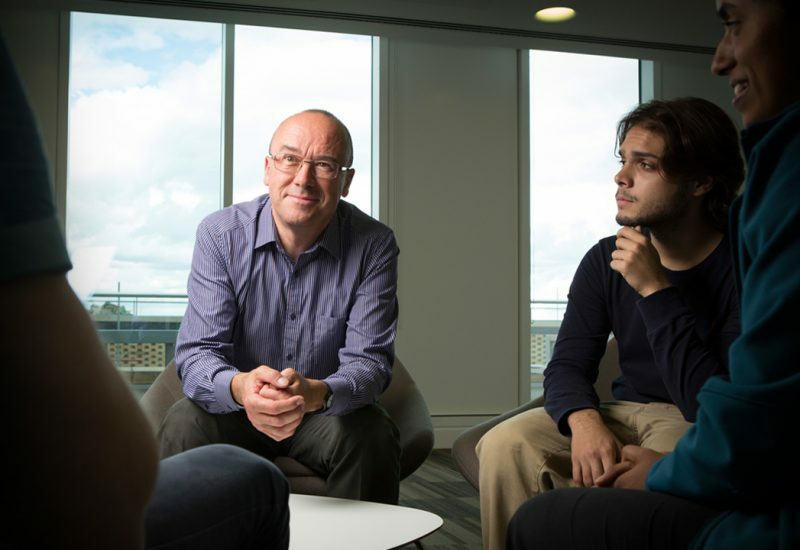 Microsoft Research in Cambridge, UK is leading the way in applying techniques from diverse fields such as biology, machine learning, human-computer interaction, systems, security and programming languages to explore new domains of research in areas such as healthcare, cloud computing, and programming biological systems. We are looking for an intern to join us in the last of these. Our Biological Computation group in Cambridge is developing theory, methods and software for understanding and programming information processing in biological systems. Our research currently focuses on three main areas: Molecular Programming, Synthetic Biology and Stem Cell Biology. We need someone who can develop and apply computational methods to help us transform our experimental data into a mechanistic understanding of biological processes, helping create the foundations of a platform for programming biological systems. Healthcare ML is a multi-disciplinary team of researchers exploring the application of machine learning to solve real world healthcare challenges such as mental health, surgery, critical care and radiotherapy. The Team has a number of exciting opportunities for interns from a variety of backgrounds and disciplines, including Machine Learning, Computer Vision, UX Design and Social Sciences. The interns will work collaboratively with leading machine learning experts, user experience designers, social scientists and clinicians to develop solutions that transform care pathways and improve health outcomes. Security and privacy are arguably the most significant concern for enterprises and consumers using public cloud platforms. 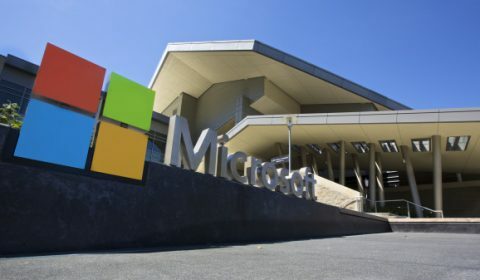 The confidential computing group at Microsoft Research Cambridge has been conducting pioneering research in the design of systems that guarantees strong security and privacy properties to cloud users. As part of our research, we are designing new security primitives in both general purpose processors and specialized accelerators. We are also invested in the design of language runtimes that guarantee safety by construction, and in designing new services such as databases, blockchains and machine learning algorithms that utilize secure hardware and runtimes to guarantees strong security properties such as confidentiality, integrity and side channel protection. We place strong emphasis on designing systems that can be deployed at scale in the real world. We work very closely with products groups in Microsoft such as Azure and SQL Server, and have contributed to deployed services such as Azure Confidential Computing, Coco and Always Encrypted. Please find more information about our group through our publications and projects including Azure Confidential Computing, Coco Blockchain Framework and Everest. Microsoft Research Cambridge is seeking an ambitious design intern with experience in 2D and 3D data visualisation and 3D printing. Working as part of a small global team you will help in the production of an exhibition that will showcase Microsoft’s online services, using tangible artefacts that represent usage data physically. You will spend your internship developing concepts that convert 2D data into physical form, rapidly iterating on several designs for 3D models (both digital and printed) from an identified data set. The Healthcare ML team has an exciting opportunity for a creative and insightful Design intern to work with a multi-disciplinary team of researchers exploring the use of machine learning to solve real world healthcare challenges. Working with machine learning experts, social scientists and designers, the intern will apply design thinking and user-centred design approaches to identify key problems and design insights in healthcare contexts. Building on this the intern will also create the user experiences to machine learning systems that will transform healthcare pathways and improve health outcomes. Microsoft Research in Cambridge (UK) is looking for an insightful and creative design intern, with a passion for exploring real world issues for the future of work. The successful candidate will contribute to an ambitious, multi-disciplinary project on transforming productivity and empowering people with AI. The project is in collaboration with the Microsoft Office user experience organization, whose productivity tools are used by more than 1.2 billion people worldwide. We are looking for someone who can produce insights to help people work within, or make sense of, complex systems or domains. At MSR Cambridge we are working on a variety of projects spanning the realms of operating systems, distributed systems, networks, and storage to design the next-generations Azure cloud data-center technology and new tools to enable machine learning on very large data sets. We are seeking highly creative students, passionate about research and keen on designing and building new systems, and with strong programming skills and expertise in one or more of the areas above. We are looking for an outstanding and passionate student to design and research on novel electronic components and devices. Example activities involve high speed electronics (>25Gbps), FPGAs, optical transceivers, photonic IC design and fabrication, precision analogue control systems and complex board integration. 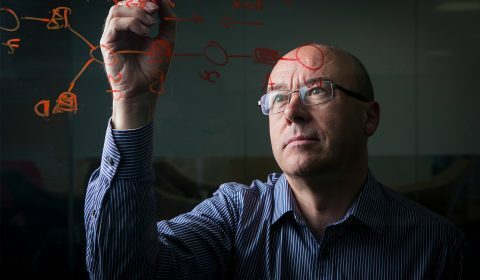 Microsoft Research in Cambridge, UK is leading the way in applying techniques from diverse fields such as biology, machine learning, human-computer interaction, systems, security and programming languages to explore new domains of research in areas such as healthcare, cloud computing, and biology as computation. We are looking for an intern to join us in the last of these. Our Biological Computation group in Cambridge is developing theory, methods and software for understanding and programming information processing in biological systems. Our research currently focuses on three main areas: Molecular Programming, Synthetic Biology and Stem Cell Biology. We need someone who can develop and apply experimental protocols within the MSR molecular biology lab, helping us in our goal of creating a foundation for a biological computation platform. Azure data center and WAN networks need to run reliably, efficiently, and without users noticing any problems, even as they grow. Keeping networks tuned this way requires the development of tools that improve the functioning of large-scale datacenter networks. We are currently investigating a range of network verification tools that help network operators and architects design, operate, maintain, troubleshoot, and report on their large networks. 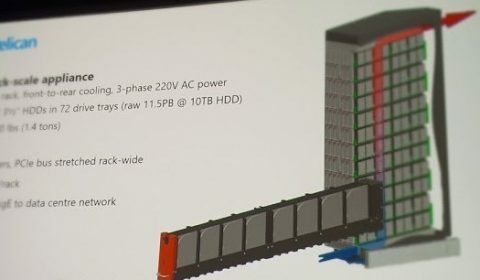 Today, nearly every new server in Microsoft datacenters integrates an FPGA into a unique distributed architecture, which creates an interconnected and configurable compute layer that extends the CPU compute layer. We are currently exploring how to take advantage of these FPGA resources in a variety of projects across the lab, including large-scale graph processing, data center networking, and machine learning. You will build and evaluate machine learning models and algorithms to solve real-world applications, working with leading machine learning researchers and researchers from other fields. Our current projects include developing large-scale distributed learning algorithms, knowledge base construction, applications to video games, and building bespoke probabilistic models for large-scale applications. We are currently recruiting interns to join our multidisciplinary team, exploring applications of machine learning to solve real-world healthcare challenges. This is an exciting opportunity to use and develop your skills in Machine Learning to have impact in areas such as mental health, surgery, critical care and radiotherapy. As an intern, you will develop new techniques and models tailored to the needs of healthcare contexts and which consider human (e.g. clinicians, patients) interaction with these algorithms. You will collaborate with leading machine learning experts, user experience designers, social scientists and clinicians to develop solutions that transform care pathways and improve health outcomes. You will build and evaluate machine learning models and algorithms to assist software engineers, working with leading machine learning researchers and engineers. Our current projects focus on deeply understanding semantic program structure from source code in order to build useful tools for software developers. Wireless links already connect a vast majority of consumer devices. New technologies and architectures, such as 5G and edge compute, promise to change the way we use and manage our wireless links and run our services. We are seeking creative, passionate and bright students to help us define and build various layers of mobile and cellular communication networks of the future. Prospective candidates should be have strong programming skills and desire to design and build new systems. Optics already plays a major role in the transport of data within the Microsoft cloud infrastructure. We are looking for people who are interested in working on multidisciplinary systems scale projects that seek to develop new technologies for the cloud based on exploiting the unique properties of optics and photonics. In particular, we are currently investigating how optical technologies can be used to achieve more efficient and lower cost data storage and how optics can be used to satisfy the increasing demand for bandwidth in the cloud networks. Microsoft Research in Cambridge, UK is leading the way in applying techniques from diverse fields such as machine learning, systems and security, programming languages, human-computer interaction and design, to address real world problems in areas such as healthcare, cloud computing, and the future of work. Microsoft’s software products are used by billions of people around the world and are some of the largest development efforts ever undertaken. Our research is focussed on streamlining and optimizing the way we deploy our software, so we can ship to our customers more regularly and more reliably. We are looking for a software engineering intern who can work with us to undertake research into the challenges and opportunities around our development processes, helping us build real solutions that let us work more effectively and keep our customers happy. The spreadsheet has continually evolved to remain at the forefront of productivity tools and work practices for over forty years. For example, today’s spreadsheets embrace collaboration, serve as databases, are mobile, and encompass AI-powered interaction via natural language. However, the soul of the spreadsheet is still the grid, and its formulas. Indeed, spreadsheets are the world’s most widely-used programming technology – but they also embody apparently-fundamental limitations. We are working on foundational ideas that will take a qualitative step forward, to extend dramatically the reach of what end users can do with spreadsheets. We are looking for interns to join an ambitious, multidisciplinary research team on the future of work, and spreadsheets in particular. We work in deep collaboration with the Excel team in Microsoft Office on Project Yellow, bringing new data types and other features to Excel. By way of general background, you may want to read Simon Peyton Jones et al’s papers “A user-centred approach to functions in Excel” and “Champagne Prototyping: A Research Technique for Early Evaluation of Complex End-User Programming Systems”. We have an exciting opportunity for a user experience research intern to work as part of a multidisciplinary team exploring applications of machine learning in real world healthcare domains (e.g. mental health, surgery, critical care and radiotherapy). The intern will bring a human-centric perspective to the explorations and work closely with machine learning experts, social scientists, designers, engineers and clinicians. Using appropriate methodologies, the intern will develop understandings of everyday clinical practices and patient experiences to inform/evaluate the design of interactions between clinicians, patients and machine learning systems. Insights from this will be used to develop machine learning based solutions and experiences that transform care pathways and improve health outcomes. Microsoft Research in Cambridge, UK is leading the way in applying techniques from diverse fields such as human-computer interaction, design, machine learning, systems, security and programming languages to address real world problems in areas such as healthcare, cloud computing, and the future of work. We are looking for an intern with real skill and passion in the design and development of front-end experiences. We need this person to work with us as part of a multi-disciplinary team looking at the last of these areas – the future of work. Can you build client-side and web-based prototypes and demonstrators, on both mobile and the desktop, that will help us demonstrate and test concepts for new tools for work? We want to empower modern workers through a combination of great digital experiences and smart systems driven by AI. Come and help us make it happen. Below you will find useful information about visiting Microsoft Research in Cambridge, for enquiries please email msrcenq@microsoft.com. Please note that there is no visitor parking available on-site. The lab is almost next to Cambridge Rail Station, so we recommend travel to the lab by train, where possible. For train times and fares, visit the National Rail Enquiries web site or use the National Rail app for Windows Phone. Cambridge is close to three international airports in addition to three regional airports. London Stansted is the closest airport. There is no visitor parking available on site. There are cycle stands available outside the lab. For coach times and fares, visit the National Express Website. You can find further accommodation options here. For all media enquiries please contact our marketing communications team. If you require an urgent response out of business hours please contact ukprteam@microsoft.com. To find out more see our careers page. AI is fast becoming a battle for supremacy and the UK must compete for the best talent or we risk losing out on a game-changing generation that will drive innovation in healthcare, manufacturing, finance and many other industries. Microsoft today added new AI-powered data types to Excel (currently in beta) to give customers a way to access extensive information about companies and places. Microsoft is working on a new class of disk-based storage appliance for its Azure cloud service, because tape is proving too hard and too slow to use in some situations.